The magic bullet for fighting food-borne illness may be the cadre of citizen food critics on Yelp, the popular consumer-driven review website. A new report from the Centers for Disease Control and Prevention examined the plausibility of using Yelp to help track incidences of food poisoning in New York City that are not reported to the state's Department of Health and Mental Hygiene. The DOHMH joined forces with Columbia University and Yelp to see if crowd-sourcing could help pinpoint these unreported outbreaks. For the study, researchers mined approximately 294,000 Yelp reviews for New York City-based food establishments, written from July 1, 2012 to March 31, 2013. The reviews were analyzed with a software program created for the project, which identified potentially useful reviews with the keywords "sick," "vomit," "diarrhea" and "food poisoning." In order for the review to make the cut, two or more people needed to report illness at least 10 hours after their meal at the food establishment. This is the amount of time it takes for organisms to cause harm to the digestive system. Among the reviews analyzed, 893 were identified as possible sources for information on local food poisoning incidences, and were further reviewed by a food epidemiologist. Out of those 893 reviews, 499 -- 56 percent -- mentioned illness suspected to have been caused by the food at the reviewed establishment, such as diarrhea or vomiting after a meal. Authors of 468 Yelp reviews described a food poisoning episode within four weeks of the incident. After cross-referencing the reviewers with reports from the DOHMH, the researchers found only 3 percent of food-poisoning incidences mentioned in Yelp reviews had actually been reported to the local health department, either by phone or on the agency's website. Eventually, the researchers spoke with 27 of these citizen food critics and found three of the previously unreported incidences were connected to 16 illnesses that met the health agency's criteria for further investigation. House salad, shrimp and lobster cannelloni, and macaroni and cheese spring rolls were items associated with food poisoning. In the end, the information on the website led researchers to three previously unreported restaurants that had multiple food-handling violations. Crowd-sourcing on social media for the benefit of public health is not a new concept. For the past few years, Google has used its search data to track flu trends throughout the country in real-time. Twitter has become another forum for influenza surveillance. 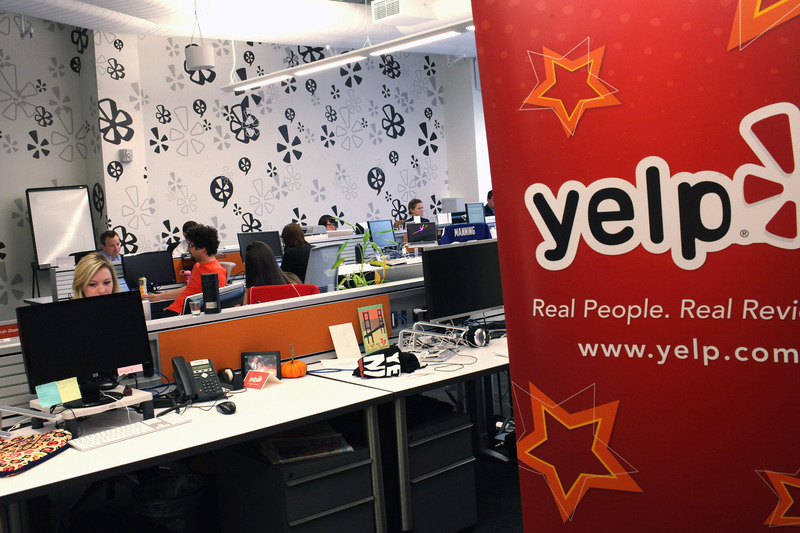 The researchers of the Yelp study say the site is especially useful since reviews typically include contact information for the writer. But if the methodology were to be implemented at the DOHMH, it would require significant resources and time. However, the researchers say they plan to continue the program. At least they are fun to read. "I ate this crap and now I have diarrhea and have learnt that this is by FAR the most expensive diarrhea I have EVER paid for -- PLEASE DO NOT ORDER DELIVERY FROM THIS PLACE." -Sar. P.
"I took pictures of the restaurant and the food we ordered, but I'd much rather post up pictures of the vomit and diarrhea that my entire family got from them instead!" - Ben C.
"HOW THE HELL DO YOU GET FOOD POISONING FROM FRIES? I don't know, I don't want to know, but I DID." - Gail Q. "Warning! If you don't want to spend 2 days with food poisoning, avoid this truck. Had the cheesesteak special on Tuesday Nov 19th and was sick for 2 days and almost ended up in the hospital from severe dehydration!" - Aggy B.